A carefully agreed 2003 waiver from international intellectual property trade rules to allow export of medicines made under compulsory licence to benefit needy countries has been quietly implemented by a large number of World Trade Organization members, according to a new analytical paper from the WTO. The analysis explores the limited use of the waiver to date and how the situation has changed since then, providing grist for a potential fresh look at the provision at this week’s annual WTO review of IP and public health. The paper, authored by Roger Kampf, counsellor in the WTO Intellectual Property Division, contains detailed tables of data, and draws on an extensive survey of member state practices. IP Division Director Antony Taubman contributed to the paper. The paper offers some “elements for reflection regarding the way forward,” which include identifying ways in which the measure’s widespread implementation could significantly boost exports of generic medicines where needed. It found that some 80 percent of the world’s exporting markets are covered by regulations that allow them to export under a special compulsory licence. The report comes in time for the annual review of the Paragraph 6 system, which will take place at the 15-16 October Council for Trade-Related Aspects of Intellectual Property Rights (TRIPS). 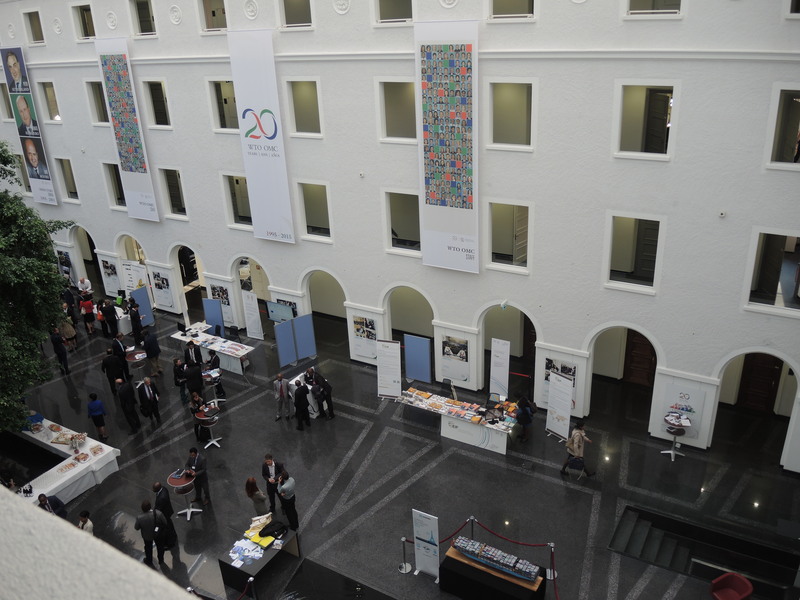 The paper, document ERSD-2015-07, is available on the WTO working papers webpage, here. At issue is the so-called “Paragraph 6” system, named for the paragraph in the 2001 Declaration on TRIPS and Public Health which mandated that WTO members solve the problem of some countries lacking drug manufacturing capacity and other countries being limited in how much they could export to them to fill the gap. TRIPS refers to the 1994 WTO Agreement on Trade-Related Aspects of Intellectual Property Rights. The 2001 declaration on public health clarified flexibilities in TRIPS, such as the ability of countries to decide to issue a compulsory licence on a patented pharmaceutical product under certain conditions, bypassing the patent. TRIPS contains a provision, Art. 31(f), that requires that drugs made under compulsory licence have to be “predominantly” for the domestic market. Art. 31(h) requires the payment of adequate remuneration to the right holder. The 2003 compromise for Paragraph 6 waives that restriction to allow production of pharmaceutical products under compulsory licence for export to countries lacking the ability to make their own. Despite a great deal of attention to the negotiation of this provision – which then became the first and only agreed amendment to TRIPS in December 2005, though yet to enter into force – there “seems to be an exceptional need for an in-depth discussion of how it has been implemented at country level.” This paper is aimed at addressing that need. Many things have changed in the world since the provision was first agreed in 2003, such as greater use of voluntary licences, and shifts in the markets. The paper looks at what remains to be done to support the functioning of the system. It might even promote the development of local production capacities in the pharmaceutical sector, it said. – Look at what role the system should play to complement the many other initiatives now available for access to medical products. – Look at how the potential use of the system is affected by higher standards of IP protection and enforcement set by regional trade agreements. The report notes that in the case of higher patent protections affecting countries’ ability to export, such as may be happening in India, the Paragraph 6 system may become more useful for ensuring needed exports of low cost generics. And it suggested that efforts could be made to help overcome any perceived political pressure not to use the system. Further training material could be forthcoming, in addition to this survey, the report said. The 70+ page paper includes some 50 pages of annexes of data and analysis to contribute to expert debates over access to medicines and related legislation. The survey showed that most major producing nations have implemented the Paragraph 6 system, but it does not give exact data on the range of countries that may use it for importation. 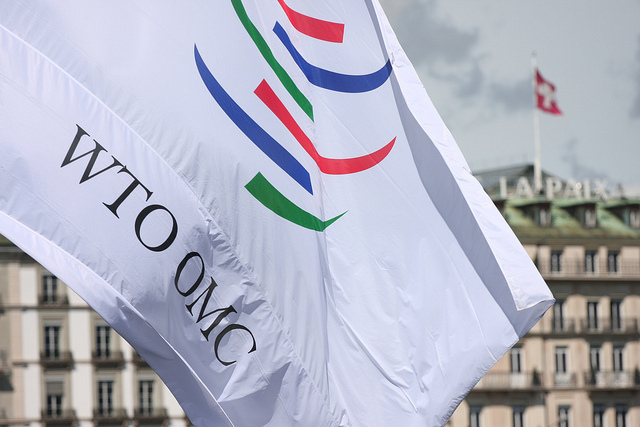 Implementation of flexibilities is not mandatory, but many WTO members have specifically adopted implementing measures incorporating the Paragraph 6 system into their legal frameworks, the paper found. The system is essentially a “distinct new form of compulsory licence expressly for export,” so countries intending to use it for import are less likely to implement the legislation, it found. In addition, it is the case the patents are usually taken in major producing countries, so there may not even be a patent in the importing country, making adoption of implementing measures “irrelevant,” the study noted. Furthermore, if there is a patent in the importing country, it could just issue a standard compulsory licence that would not require a change to the domestic legislation. But then it would have to pay the remuneration to the right holder. And finally, it is noted that least-developed countries (LDCs) are still exempted from implementing the TRIPS Agreement, so no special implementing legislation is required. In the well-known case of the use of the Paragraph 6 system, the importing country Rwanda (with the exporter from Canada) simply notified the TRIPS Council that any granted patents would not be enforced. The survey could be valuable for countries still considering implementation of Paragraph 6. Members that have specifically adopted legislation to the use the system include 35 industrialised countries, two transition countries, and 12 developing country members. It also includes two least developed countries (Burundi and Zanzibar as part of Tanzania). Another point made in the report is that members do not have to implement specific measures in order to take advantage of Paragraph 6. Some members consider their existing laws to provide an appropriate basis for using it. They were not included in the survey, but could be useful to consider, it says. An example is Japan, and the report explains why Japan holds this view. Another example is Ecuador. The survey also reveals interesting situations such as that of Estonia, which has implemented a measure that says it applies to products protected by a patent for import or export. But European Union regulations only provide the legal basis for export. The report provides a table of the main features in implementing measures. It also includes analysis of results on the basis of: scope; diseases, products and IPRs covered; eligible importing countries; pre-grant conditions; quantity; duration of the compulsory licence; remuneration; notification and publication requirements; transparency and safeguards against diversion; regulatory approval; and the good faith clause. The good faith clause refers to a chairman’s statement read out prior to the adoption of the 2003 decision and 2005 protocol to amend TRIPS, under which members agreed not to use this provision for commercial objectives. Several countries refer to the good faith clause in their implementing measures. Among the findings were that there normally are no restrictions on types of products, there are typically limits on the quantity authorised for production under the compulsory licence to the needs notified by the applicant, and there is variation on the duration of the compulsory licence, normally with an option to revoke it. In yet another interesting aspect, the report lays out the sequence between the adoption of implementing measures and the acceptance of the 2005 TRIPS amendment, which still does not have sufficient ratifying countries to enter into effect. "WTO Paper Could Spark New Ideas On TRIPS Special Compulsory Licence For Medicines Export" by Intellectual Property Watch is licensed under a Creative Commons Attribution-NonCommercial-ShareAlike 4.0 International License.